COLUMBIA, Mo 12/15/14 (Beat Byte) -- Plans for another giant bond issue from Columbia City Hall -- $67 million for electric infrastructure and rate hikes to pay the bond debt -- prompts a question: When will enough be enough? With City Hall's history of subsidizing Big Business and Big Development with public money, maybe never. Look at the red flags. Mayor Bob McDavid threw up a big red flag over electric rates at the Columbia City Council's Sept. 2 meeting. Hizzoner played the Jobs Card, insisting City Hall keep electric rates low for "big employers". "McDavid commented that Columbia had companies that EMPLOYED A LOT OF PEOPLE, such as Kraft Foods, that were high energy users," the minutes show. "McDavid thought...Columbia WAS ALREADY A MORE EXPENSIVE PLACE to do business than the competition, so he was concerned about the movement to increase the cost to companies that employed a lot of people." Council members debated three ways to increase electric revenue: with fees to connect new developments; with higher usage rates based on how much electricity a customer uses; or with a higher base rate, the so-called "flat-rate customer charge" everyone pays no matter how much power they use. Over protest and controversy, Council members voted to hike the flat-rate customer charge by 73%. The Mayor and his main minion, city manager Mike Matthes, tied them up with "sky is falling" arguments that offered only one way out: that John and Jane Q. Public pay more so that big developers and big energy users could thrive. Fourth Ward Councilman Ian Thomas started with a familiar lament: Why are existing users forced to subsidize new development? "Mr. Thomas understood the City had spent $20 million over the last ten years expanding the electric infratructure system to accommodate new development," the minutes explain. "He felt they had subsidized the growth of the City because they had not had a connection fee for electricity." Other cities charge connection fees, Mr. Thomas noted. Why not Columbia? Matthes released his inner Plato. 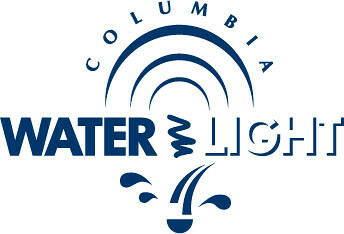 "Mr. Matthes pointed out the philosophy of Columbia's electric utility was different than the other utilities...it is based on a philosophy that emphasized rates over connection fees." Thomas grudgingly went along after expressing more reservations. With connection fees off the table, two methods remained: increase usage rates or increase base rates. Just as connection fees would impact Big Development, higher usage rates impact Big Manufacturing. And Mizzou. And other large, commercial users. Matthes argued against higher usage rates. Being too dependent on big electricity users subjected the city utility to "significant revenue volatility," he said. "The more someone uses, the more they are charged," he said. But that's bad because "we have to recover something to accommodate really low usage." When Councilman Thomas pushed back, Matthes and Johnsen blamed the weather. Warmer winters and cooler summers reduced usage, so what was the utility to do? Matthes wanted "more guaranteed revenue versus being so dependent on weather," the minutes explain. People are conserving, too. The answer was clear: Raise the fee everyone pays regardless of usage by a whopping 73%. "Mr. Thomas...noted he did not feel it was equitable," the minutes explain. "He also did not feel it adequately incentivized conservation or renewable energy usage." Conservation-minded engineer Tom O'Connor also expressed disgust with Matthes' proposal in a Trib editorial. Ultimately, Thomas went along, but not before asking for a new type of power bill that showed the impact of hitting low energy users with such a big base rate increase. Staff could have a report about the new bill "within 18 months," finance director John Blattel said. Council members voted to increase power bills and some 100 other fees, fines, and rates in September.